You might think Shimek’s parents would be proud to say “my son, the doctor,” but not in this resolutely traditional Orthodox shtetl. To study medicine, he essentially rejected their tight-knit community. Unfortunately, that also meant turning his back on Buzya, the love of his life. He will return hoping to rectify that mistake, but time marches on in Eva Neymann’s Song of Songs (trailer here), which screens during the 2016 New York Jewish Film Festival. Based a several Sholem Aleichem short stories, Song of Songs paints an almost naively nostalgic portrait of Russian shtetl life, at a time pogrom concerns were never idle or baseless. Life went on regardless. 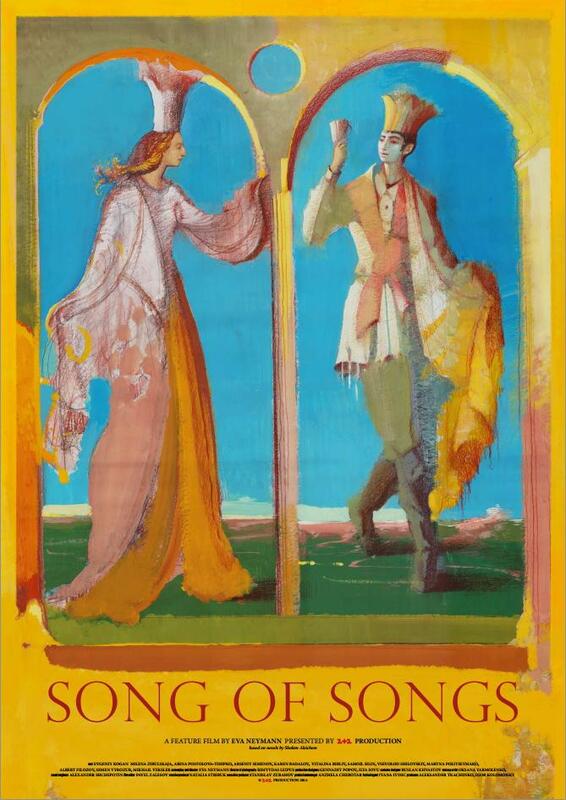 For young Shimek, this involved elaborately constructed fantasies informed by Kabbalah, wherein Buzya was the princess and he was her knight-protector. Although Shimek studies with the local rabbi, he only distinguishes himself with discipline problems. It is almost inevitable that Shimek would leave for more cosmopolitan pastures. 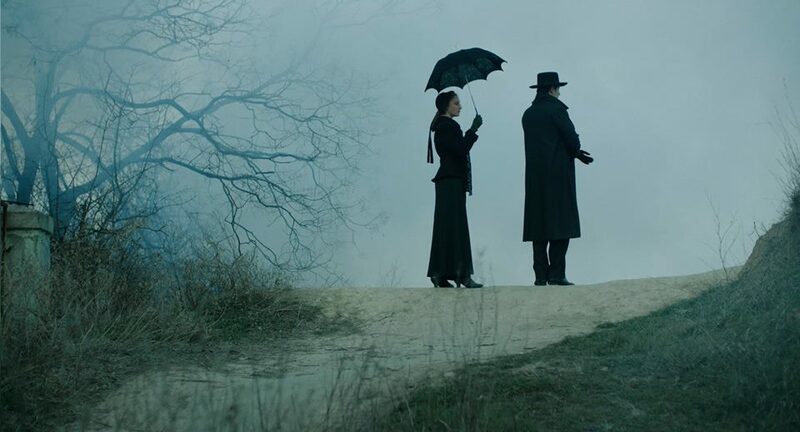 Ironically, in his absence, Shimek’s parents adopt Buzya, in spirit if not in law, arranging a much more suitable match for her than their rebellious son. In terms of mise-en-scene, Song is exceptionally accomplished. Production designers Gennadiy Popov and Ilya Iovu make the wooden shtetl house look properly hardscrabble and strangely charming in an old world kind of way. Cinematographer Rimmvydas Leipus duly lenses everything with the glow of romanticized memory. To set the indefinable mood, Neymann uses vintage popping and hissing records of Jewish recording artists, including Jolson and Haifitz, who are not necessarily era-appropriate, but still fit the tenor of the time. The problem is Neymann’s cast is practically just another set of props for her to manipulate. Subtle and reserved performances can be a revelation, but here they are often just quietly unobtrusive. We can one hundred percent believe these are the weathered, reticent shtetl denizens, but they all leave us on the outside looking in. Song of Songs is the sort of film you respect rather than feel affection for. Nevertheless, its humanistic portrayal of shtetl life arguably comes at an opportune moment. This is after all, a Ukrainian film, arriving at a time when Russian propaganda would have the world erroneously believe the nation is dominated by goose-stepping National Socialists. Song of Songs is a scrupulously classy, admirably literate production, but mere mortals may have trouble fully embracing it when it screens twice this Thursday (11/21) at the Walter Reade Theater, as part of this year’s NYJFF.